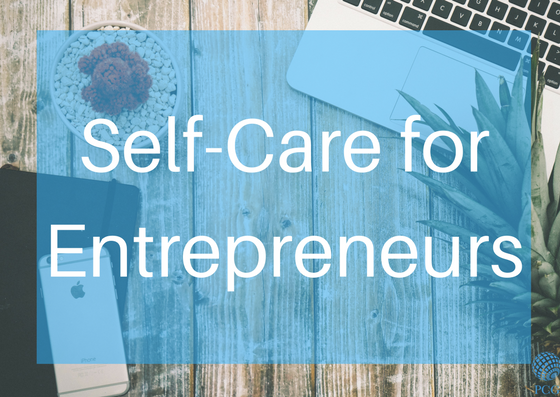 Self-Care for entrepreneurs is so important! Running and operating your own business can make it hard to draw a line between work and your personal life. It makes sense, you have a passion for what you do and are constantly making sacrifices to see it succeed. You have to pay attention to what responsibilities you could be pushing off to the side because your business is your life, you eat, sleep and breathe it. As entrepreneurs, self-care is a VERY important part of running a business. Why is self-care so important? For two reasons, the first being it is one of our New Year resolutions for business owners! The second being that as an entrepreneur burn-out is a real big scary thing that you have to avoid! You need to remember to invest time into your family, friends and yes, even just yourself! The key here is to set SMART goals–ones that are specific, measurable, attainable, realistic, and timely. When you set SMART goals and give them your full focus, you’re unstoppable! Plus, setting yourself up for success will lead to a happier, more fulfilled life. While it’s good to be motivated, it can be dangerous when you feel guilty taking time for yourself. Your health is more important than your business (yes, we said it), and while sacrificing it might temporarily lead to success, it will lead to burnout and disappointment in the long run. When you take care of yourself first, the time you dedicate to your business is so much more productive and inspiring! As an entrepreneur, it’s so important to have a healthy routine that works for you. Without it, you’ll never be able to establish a balance in your life. Yes, all-nighters will come and are sometimes worth it, but learn to find the balance between being committed and being a workaholic. This is probably one of the most challenging concepts for business owners to learn–saying no! As an entrepreneur, you will be asked to come to meetings, hop on a quick phone call, help out with something, and give your input constantly. Oh, and it will also seem like your email inbox is never empty! If you don’t put your foot down and say no to some of these things, you’ll never be able to work toward your overall goals. While keeping up with day-to-day tasks is necessary, your leadership and vision for the company are needed in other areas. So, be selective and get better at saying no. You’ll thank yourself later–trust us! Build a Support Network…And Stay Connected! It’s also important to maintain your friendships and the relationship you have with your family. While it might require planning in advance, always leave room in your schedule to grab coffee with a friend or hop on a phone call with a family member. Nobody knows you better than them, and they can listen, offer advice when needed, and support you through good and bad times!